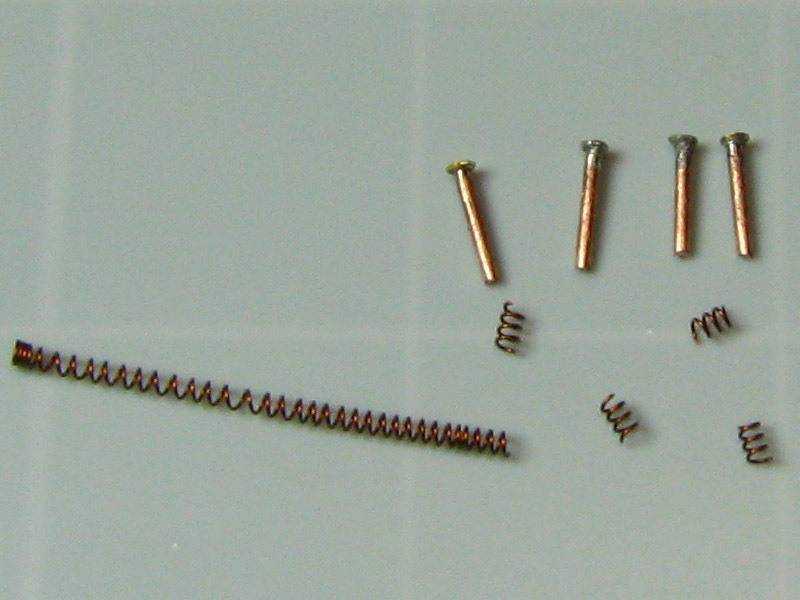 Prepare all parts. 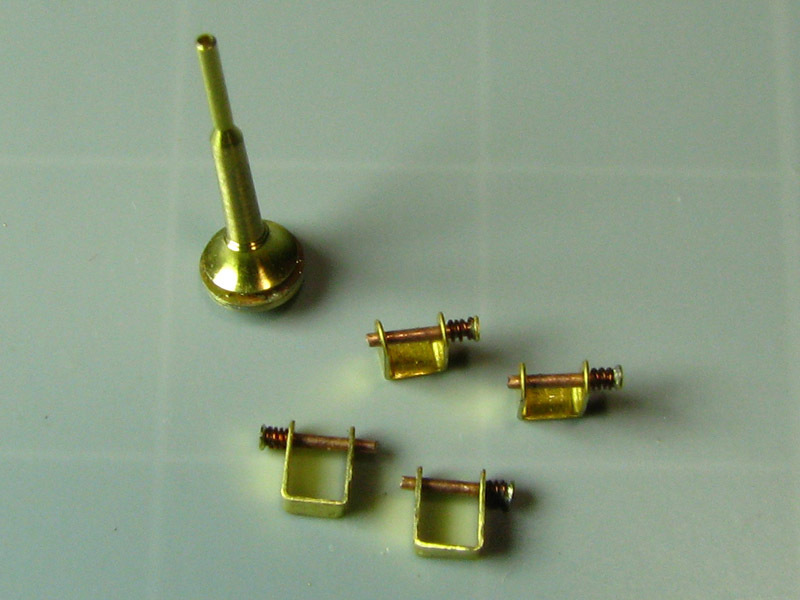 Separate resin parts for further cleaning eyelets. Remove thin resin remnants with sharp blade. Please, be careful, sharp blade may hurt you or damage resin part. 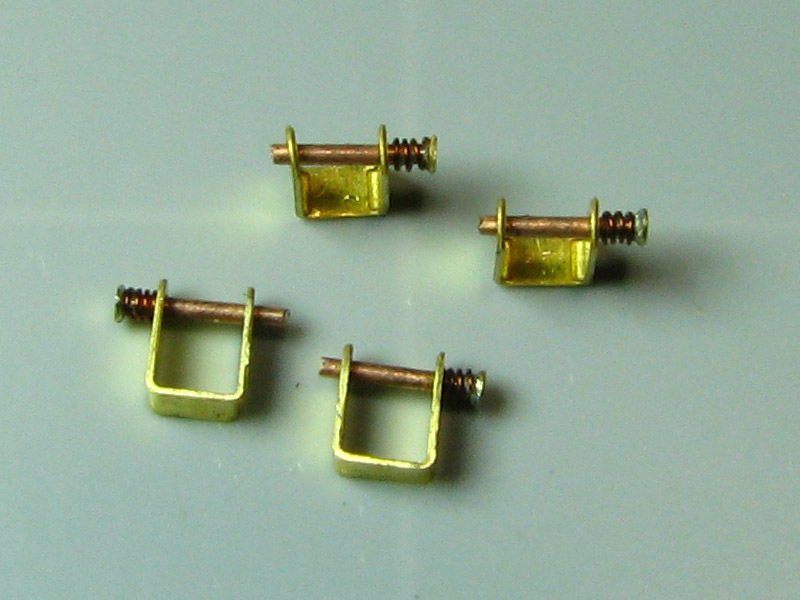 Remove fat and clean and polish joining points of resin parts with sandpaper. Use 800–1000 grade sandpaper. 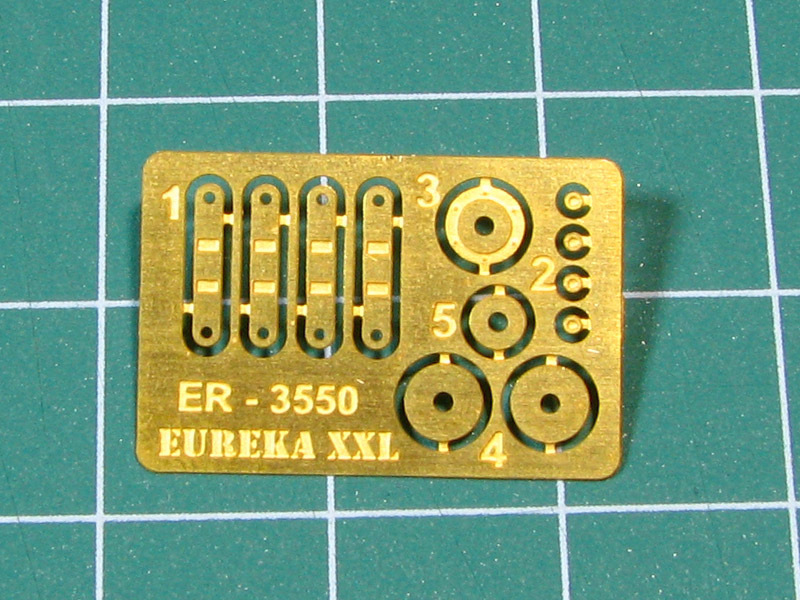 To separate eyelet from resin sprue please scratch the line near the part. Use sharp needle and scratch the surface several times. Break the part from the sprue and sand the surface with file and polish with sandpaper. Cut photoetched parts with sharp knife — please, be careful. Bend parts number 1 just like shown on photo. Glue together both parts number 4, glue part number 3 over it and finally add part number 5 on the top. 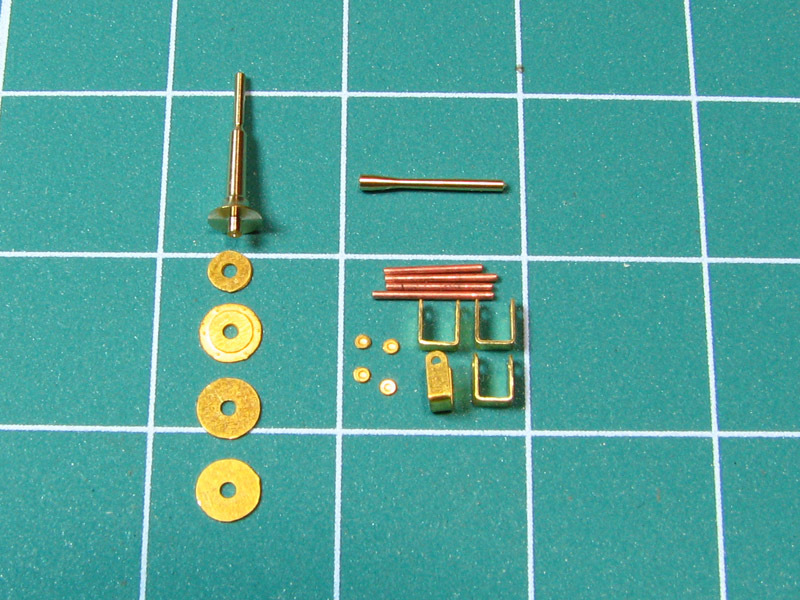 All those parts will be base for metal aerial base part which should be glued over it. 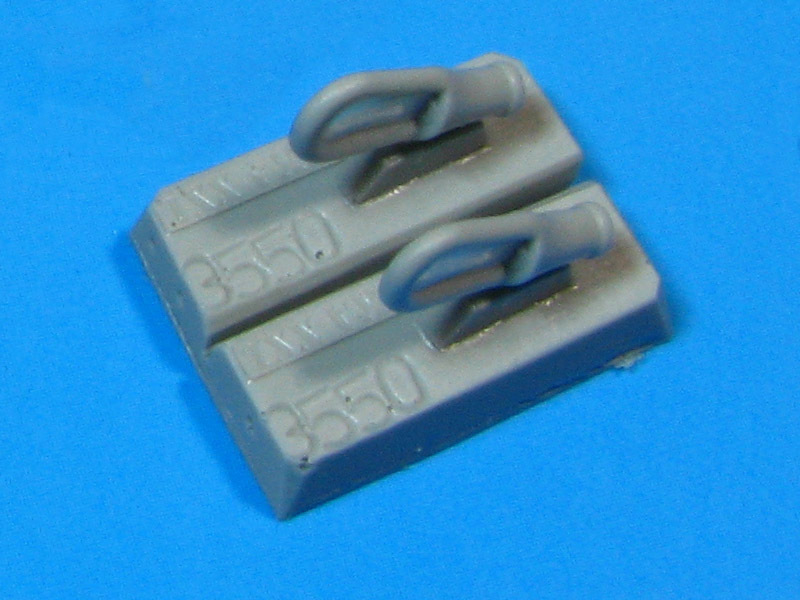 Aerial should be made from hot streched sprue or wire with 0.4 mm diameter and cut to the lenght of 114 mm. Aerial base can be fixed to the kit. 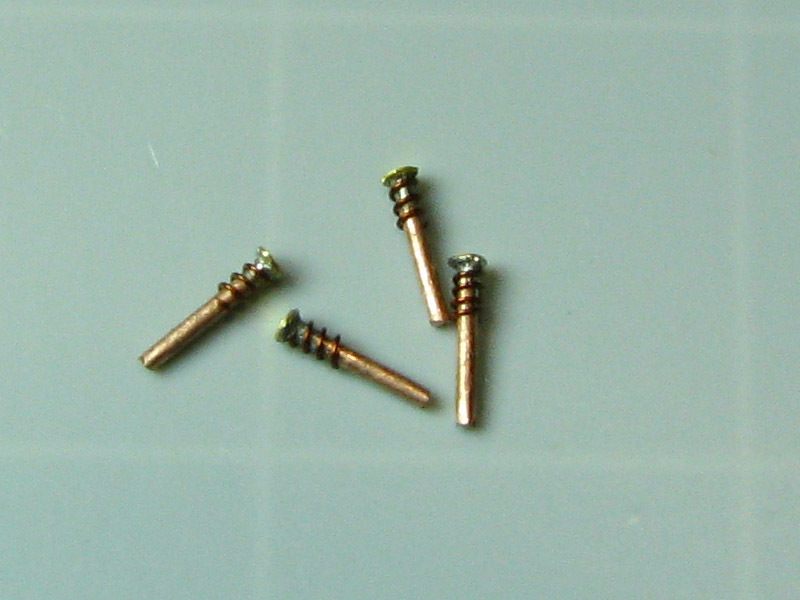 Securing pin should be made from part number 2 and metal wire (0.45 mm diameter and 3.5 mm lenght). Prepare spring with use of 0.10 mm diameter wire included in the set and cut 4 lenghts with 3-4 helix curves each, like shown on photos. 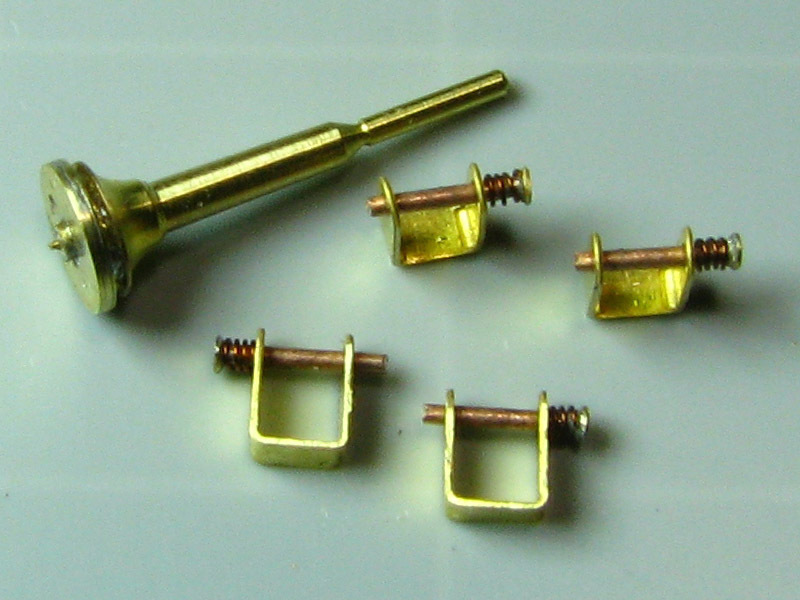 Join all prepared parts to make complete towing line mount. Cut off plastic barrel and drill hole 0.7 mm diameter. 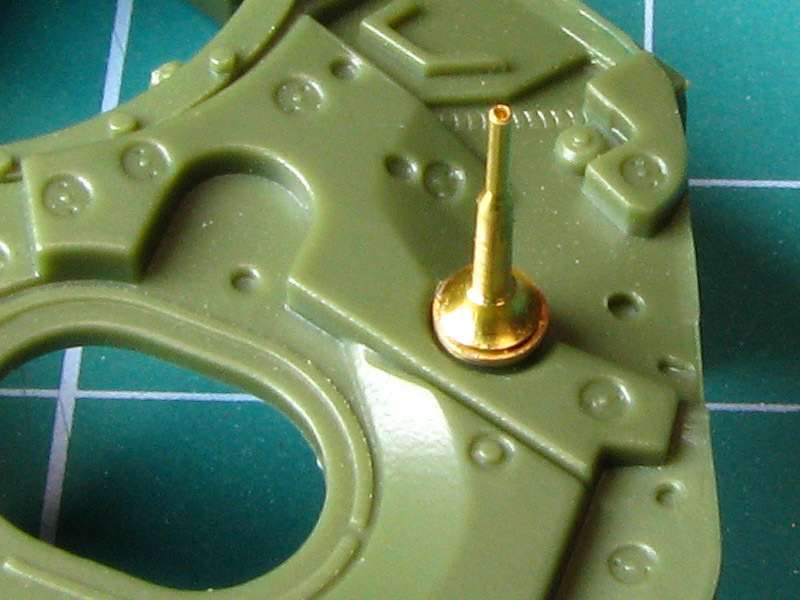 Tip of machine gun should be glued to such prepared kit part number D-49. Lay the copper line on the kit in the way you would like to fix it. 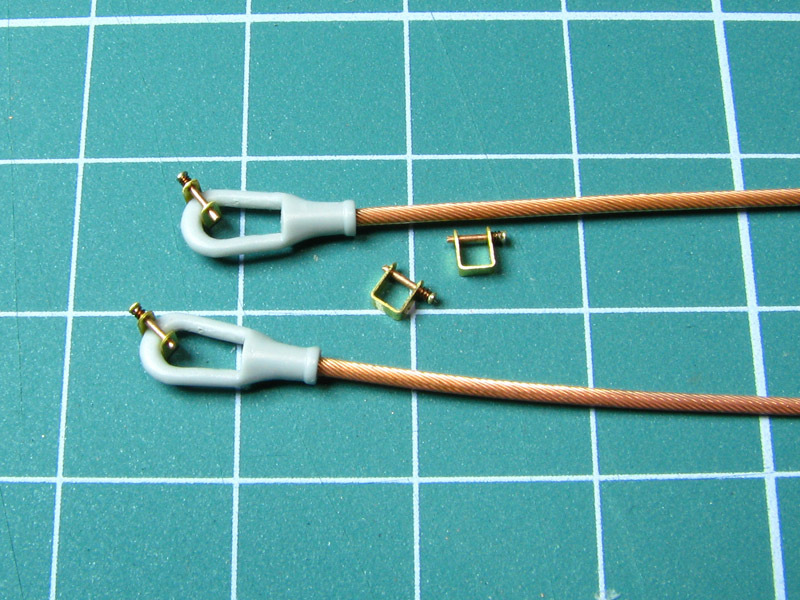 Check the length of the cable, mark it with pencil and cut off unnecessary part.